At Swann Dermatology and Esthetics, we see many patients who are faced with age-related skin problems that affect their appearance. Although most people understand that natural aging is inevitable, drastic changes in facial features can be upsetting. The vertical vector face lift is an advanced facial rejuvenation technique offered by board certified dermatologic surgeon Dr. Michael Swann. 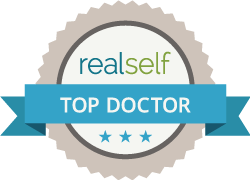 Dr. Swann is board certified in dermatology and completed fellowship training in Mohs surgery and Laser & Cosmetic Dermatology at Scripps Clinic in La Jolla, California. The vertical vector technique serves as a local and tumescent anesthesia alternative to patients who prefer to avoid the general anesthesia of the traditional horizontal vector face lift. Dr. Swann uses this procedure with patients who have gravity-induced descent of the face and neck, resulting in loose skin. In these patients, facial and neck liposuction is not enough to produce a dramatic outcome, requiring repositioning of tissues to create the plumpness and fullness of a youthful appearance. Preeminent dermatologist and cosmetic surgeon Dr. Greg Morganroth of California Skin Institute published this technique to minimize face lift complications, developed this technique to provide a more natural rejuvenation and eliminate the obvious signs of face lift surgery. Vertical vector tightening of the face and neck support structures to mobilize face and neck tissue upward, to a more youthful position in direct opposition to gravity. Local & tumescent anesthesia is used to minimize risk of complications and reduce recovery time. Elimination of the stretched, “wind swept” look typical of some face lift techniques which pull skin toward the ears. When what we see in our reflection no longer matches the way we see ourselves, we are clearly looking older than we feel. Some people make a great point in this case, and say that you should age gracefully, without any cosmetic procedures at all – just as nature intended. At Swann Dermatology & Esthetics, we believe that this mindset makes a lot of sense. If you have strong genetics and routinely used high quality products for preventive skin care throughout your life, then face lift surgery or other invasive cosmetic procedures may not be necessary at all. But aging gracefully is as much about psychological health as it is about physiological appearance. So if your outward appearance no longer matches the vibrancy and youthfulness you feel inside, this dissonance can create insecurities that may cause you to avoid social situations that are so vital to leading a full and emotionally rich life. That is why it is so important to speak with a highly qualified skin professional before making decisions about whether a face lift or alternative procedures may be right for you. You may need a face lift, or there may be other, less invasive alternatives such as injections, micro-focused ultrasound, Kybella, Coolsculpting. But properly diagnosed issues and thoughtfully-selected corrective procedures can help you look as good on the outside as you feel on the inside, and return to a more youthful and rested appearance. A face lift is a general term used to describe a variety of surgical tissue-repositioning procedures that target sagging skin around the face, as well as the neck area. At Swann Dermatology & Esthetics, we work with our patients to help them choose appropriate treatment that emphasizes a return to a more youthful and natural appearance. To do this, we carefully assess your unique situation and aesthetic goals to come up with a course of action that is most likely to yield results closest to your goals. However, it is crucial that the patient develop a realistic attitude about what can be attained with plastic surgery. Barring any issues with over-tightening of the skin (which creates a “wind swept” or “plastic” look), a face lift can achieve many aesthetic goals. For example, the neck area can be sculptured for a graceful appearance, but without an over correction. The cheeks and central face area are quite another matter. You do not want tightness; because tightness gives a flat appearance, just like a tightly-made bed. Instead, you want to create a natural fullness. For more information or to schedule a consultation with one of our consultants, call 417-888-0858. We'd love to schedule a consultation to see how we can help.